From a sheer natural look to a flawless full-coverage finish, MUD's versatile Cream Foundations are easy to apply and hold up beautifully under the most extreme conditions. Formulated for ultra-smooth blending and application. Find your perfect match and use it alone, or blend colors like the pros to achieve a specific skin tone. Includes eight refillable colours for a sheer natural finish. Custom-blend to achieve desired skin tone. 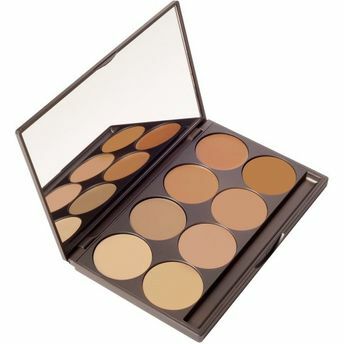 Alternatively, you can also find many more products from the MUD Pro Foundation Palette range.